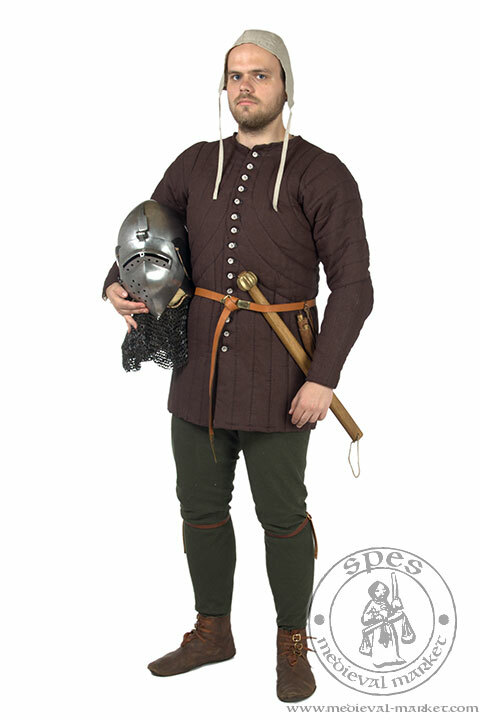 Gambeson type 8. MEDIEVAL MARKET - SPES. 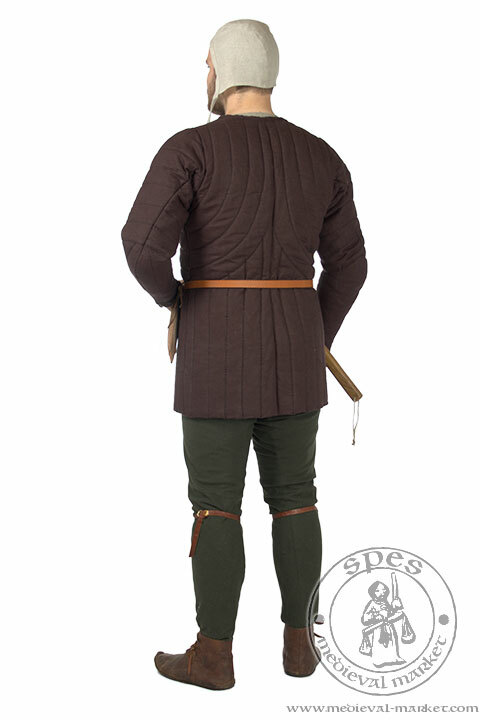 Gambeson with vertical sewings starting from the waist, without the collar. This gambeson fits well to the body. 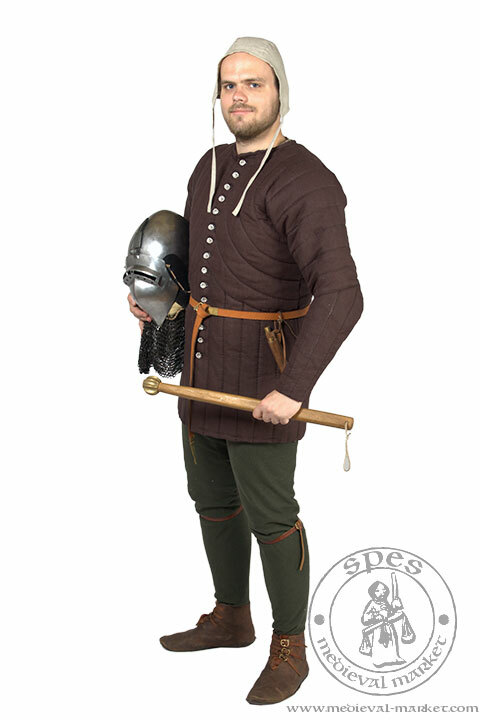 Standard version of gambeson buttoned up with 15 buttons made of fabric. Sleeves with vertical sewings starting from the elbow to the wrist. 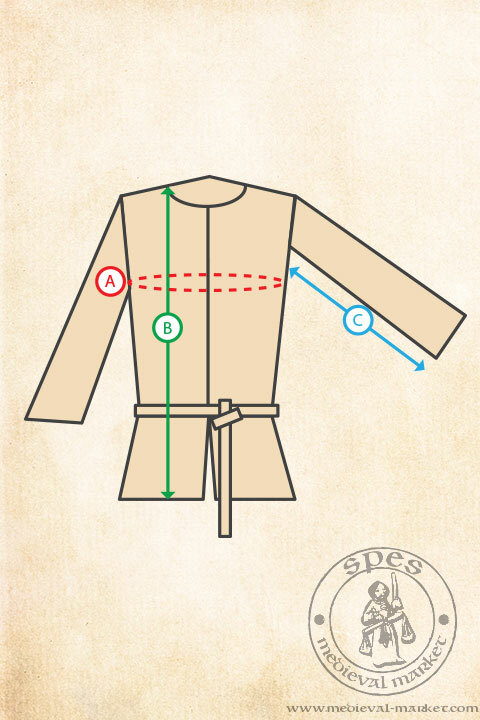 2 part cut of the sleeve provides better manoeuvrability during the fight.